I owe much of my business success to my Mastermind group– I credit being in a mastermind with boosting my revenue 10x. 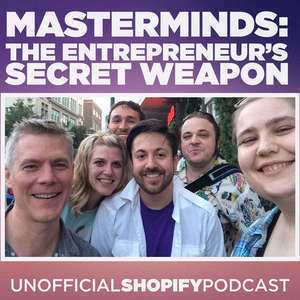 So what is a Mastermind, how do they work, and why or how should you join one? To answer that question, Kai Davis and Jonathan Stark join Kurt to discuss their own mastermind experiences. Kai Davis is an Outreach Consultant in Eugene, Oregon, who helps bootstrappers, product creators, self-funded startups, and single founder companies grow their audience and promote their best products and content. He connect with influencers and finds opportunities to expose your best products and content to their audience.